Or Is Disney Playing A Trick On Us? Or Is God Punishing Us For Something? JUST GIVE US THE TRAILER ALREADY! 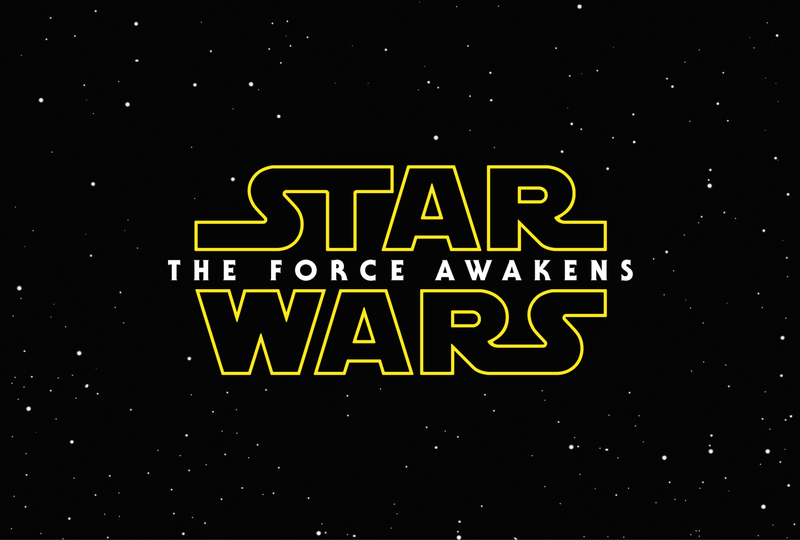 As a child of the 80's, and a devoted Star Wars fan, I need this movie to be good. We all need this movie to be good. Even casual Star Wars fans need this movie to be good. Which is why the news that the new trailer for Star Wars VII: The Force Awakens would be released online (as well as theatrically, in select theaters only), has most Star Wards nerds feeling like Thanksgiving is Christmas Eve, Black Friday is Christmas Day, and Santa Claus is small Jewish man named JJ. 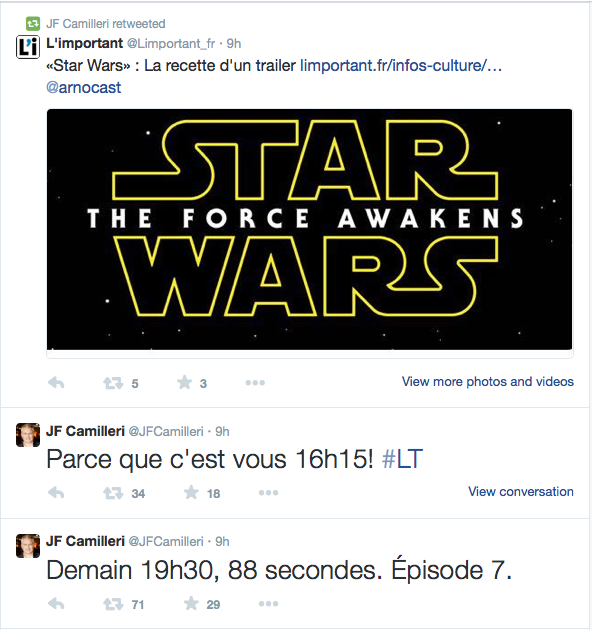 Which is why I gasped audibly (and squeaked like an adolescent) when I stumbled on a reddit conversation that alerted me that JF Camilleri, President of France Disney (Wiki page), had tweeted, twice, an *assumed* release time for the trailer. UPDATE (11PM PST): Shortly after our post went live and started getting traffic, the tweets were deleted. Here is a screenshot with both deleted tweets. Oh, and that converts to 10:15am EST. So yeah, mark your calendars. ...your hourly calendars. Oh sure, I guarantee we could invent a plethora of other super ridiculous reasons that the President of Disney France tweeted these very specific release times, then deleted them - but let's get real, he made a le boo boo. Is 10:15am EST the the time that the trailer will drop on iTunes? Or was the Presidentof Disney France just drunk? Maybe it's both? Maybe 10:15am EST is the correct time, but since Frenchie got too excited and forgot that all the top-level global executives at Disney swore a secret pact of secrecy upon Uncle Walt's cryogenic think box, maybe they'll call an audible and release it earlier? JJ MURDERED JAR JAR IN PRE-PRO, RIGHT? ...RIGHT??? UPDATE (7AM PST): Well, the President of France was no liar. The trailer is HERE. And it's good. It's real good. If you have any tips on this developing story, or if you ARE the President of Disney France, email mike.rylander@ora.tv.